Tungsten/carbide blades will slice through even the toughest braided line. Individually CNC machined from aluminum/titanium alloy for the utmost performance and longevity. 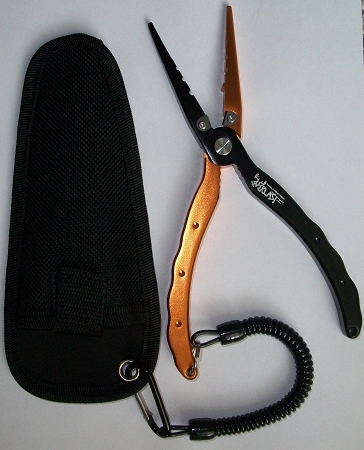 Long nosed pliers with superior gripping ability make hook removal a snap. 5 Star for sure! Cuts braid just as advertised. Best braid cutter i have found so far. No intentions od looking further.